Do you still read books, novels, stories? Well, many us still read books in-spite of web onslaught on our lives. So, if you still read books you will need bookmarks to stay connected while taking book reading breaks. Free Printable Bookmarks website has loads of bookmarks design which you can quickly print and use while taking breaks in book reading sessions. 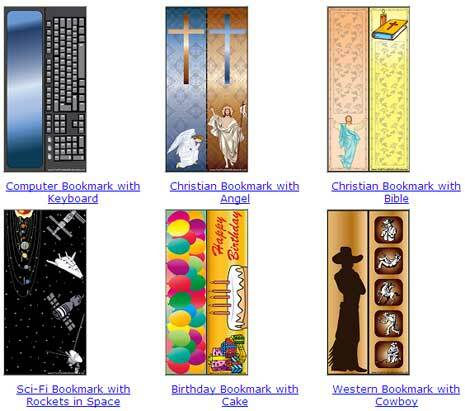 You can browse and select bookmarks from different categories like: adventure, sci-fi, fiction, computers, birthday, seasons, christian and many more. Bookmarks are available for free download in PDF format. After the download, print the bookmark and then cut according to your requirement. Grab and download printable bookmarks with colors design for refreshing book reading breaks, like it?